Brooklyn, NY - The charges against Farrukh Afzal, the Staten Island livery driver who beat a Chasidic Borough Park resident on his way to the synagogue have been changed again, with the Brooklyn District Attorney’s office reinstating previously dropped hate crime charges in the October 14th incident. News of the upgraded charges broke late Friday afternoon, with the District Attorney Eric Gonzalez’s office confirming that a prosecutor announced that an indictment returned against Afzal by a grand jury included a top count of felony assault as a hate crime. As previously reported on VIN News (http://bit.ly/2yn1Ent), Gonzalez had come under increasing pressure for dropping the initial hate crime charges against Afzal, releasing an editorial to the media explaining that while he was personally outraged by the attack, careful and deliberate analysis of the facts is a crucial component in the pursuit of justice for any victim. Governor Andrew Cuomo called on the New York State Police’s Hate Crimes Task Force to investigate the incident on October 17th, just hours after City Councilman Chaim Deutsch held a press conference outside the New York Police Department headquarters denouncing two recent anti-Semitic attacks in Brooklyn and calling for Afzal to be charged with a hate crime. While the incident was initially described by CBS News as a case of road rage prompted by an earlier exchange between Afzal and the victim or someone with a similar appearance, video surveillance proved otherwise. 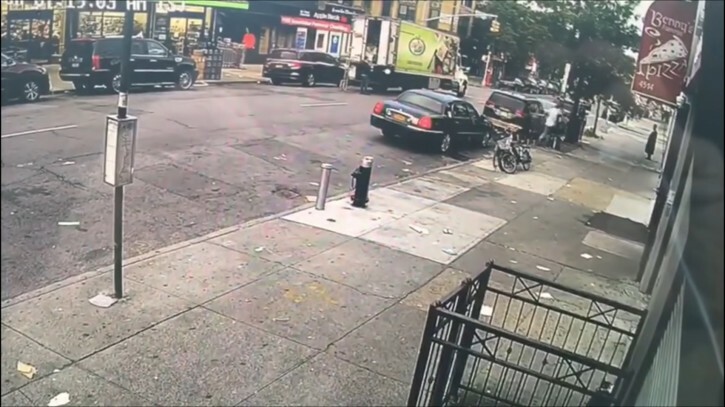 Community Board 12 chairman Yidel Perlstein said that footage going back as far as 35th Street on 13th Avenue showed Afzal driving at a reasonable rate of speed and stopping for every red light. Just blocks later, the footage showed Afzal aiming his car first at Shia Langsam as he crossed 13th Avenue and then seconds later deliberately running a short distance to attack 62 year old Lipa Schwartz instead of venting his anger on the closest person, a nearby delivery man unloading a truck located just across the avenue from Afzal’s car. The fact that Afzal had been driving calmly for blocks and directed his wrath specifically at Langsam, Schwartz and a third Chasidic man who attempted to intervene in the beating demonstrated a pattern of bias, said Perlstein, one that painted a different picture for the district attorney’s office than that of road rage or mistaken identity. Perlstein also noted that building a case is a methodical process that can take large amounts of time and manpower, and he credited both the NYPD and the district attorney’s office for devoting significant resources to their investigations and for taking the Jewish community’s concerns seriously. Local officials who had advocated for their constituents by urging Gonzalez’s office to bring bias charges against Afzal responded enthusiastically to news of the upgraded charges. Deutsch, chair of the City Council’s Jewish Caucus, released a statement less than half an hour before Shabbos, noting that it was important for Afzal to be held fully accountable for his actions. 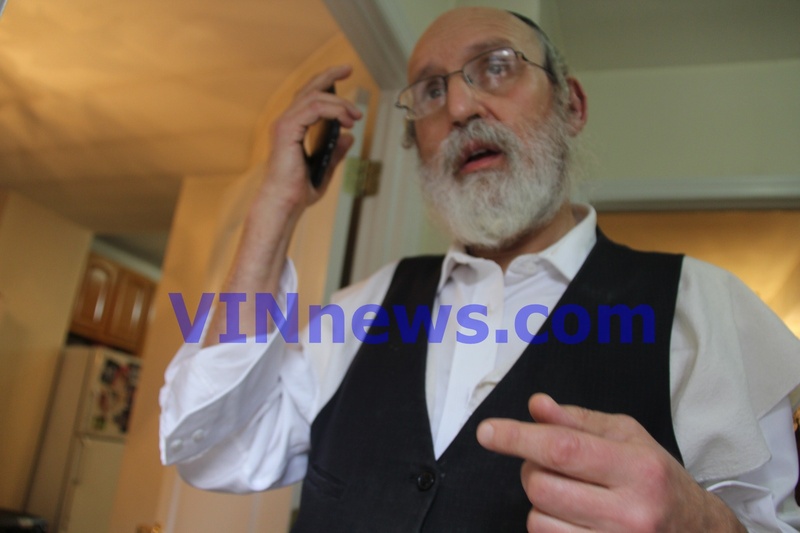 “We will not sit quietly on the sidelines when a Jewish man gets attacked,” Deutsch told VIN News. Assemblyman Dov Hikind echoed those thoughts, saying that he was happy for the Schwartz family that Afzal would be facing hate crime charges. I'm glad that the hate crime charges were reinstated, as they should never have been dropped in the first place. Federal hate crime charges should also be filed by the U.S. Attorney. In Brooklyn, The position of District Attorney is an elected office. No DA is an employee of the Mayor, and kowtowing to the Mayor's long standing disdain for the Jewish community is not a requisite for the job. At the next election, this guy must be sent packing. If he has any intention to tow the line for the liberal Democratic Party agenda, we want nothing of him, and we need to en masse vote him out. Time for BP folks to learn self-defense. As long as Yidden are seen as wimps there will be violence against us. FIGHT BACK! Judge Ruchie Freier recused herself from the case on Friday in court, the case was assigned to Judge Raymond Rodriguez who upheld Judge Freier's decision to keep the Bail at $15,000 despite that the DA upgraded the charges from a 3rd degree Attempted Assault to a Hate Crime & Attempted Murder, because it's a high bail amount, so he will remain in Jail until his trial. Someone smart I knew once said frum Jews shouldn’t be in politics, because they’ll always have to prove they’re not favoring the Jews, and will bend over backwards to do the opposite. Sad.